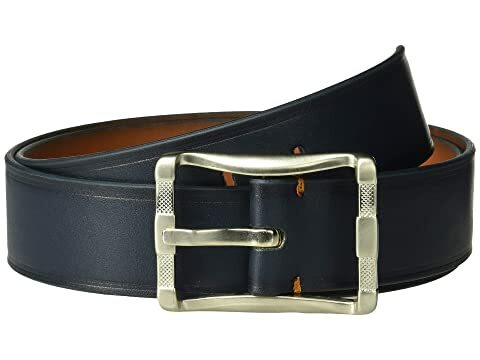 No matter which way you wear it, this Stacy Adams™ belt simply has it all. 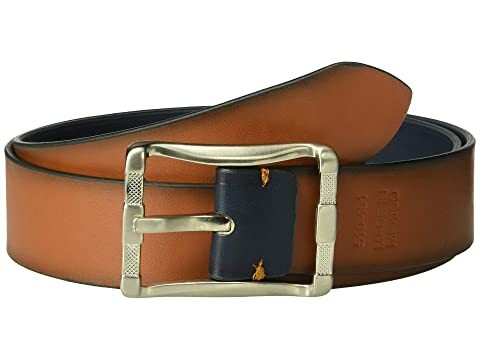 Reversible belt crafted from leather, with a cognac color on the reverse side. Silver-tone buckle with thin embossed lines and burnished edges.